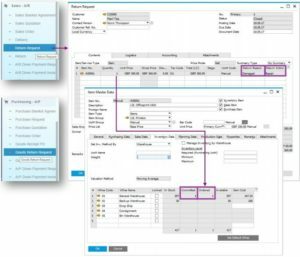 At the end of August; we will see the latest release of SAP Business OneVersion 9.3 which is business management software created for small and medium sized businesses to streamline and automate key business functions. SAP Business One 9.3 will provide further improvements to increase efficiency and security. Many new updated functions around the core product are added, together with project management and production. Enhancement has been made in G/L Account Determination as well as improvements to authorisations and approval processes; it also provides enhancements to advanced G/L Account determinations. This allows you to determine UDF’s as Advanced G/L Account Determination Criteria. Return Material Agreement (RMA) – Version 9.3 now supports the Return Material Agreement process. Customers can create a pre-step of the return document. The user can input the agreed quantities and price; then they can type in a reason for the return, all before the product is returned. Overall, it allows managing and tracking the return process, and reasons for why the customer returned the product(s). 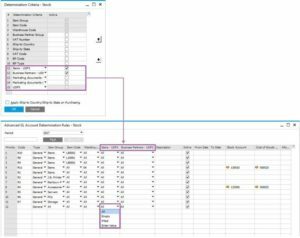 Financials Scenarios Enhancements – Individual improvements have been made in Financial Templates, Period-End Closing, Manual Journal entries, and Charts of Accounts. 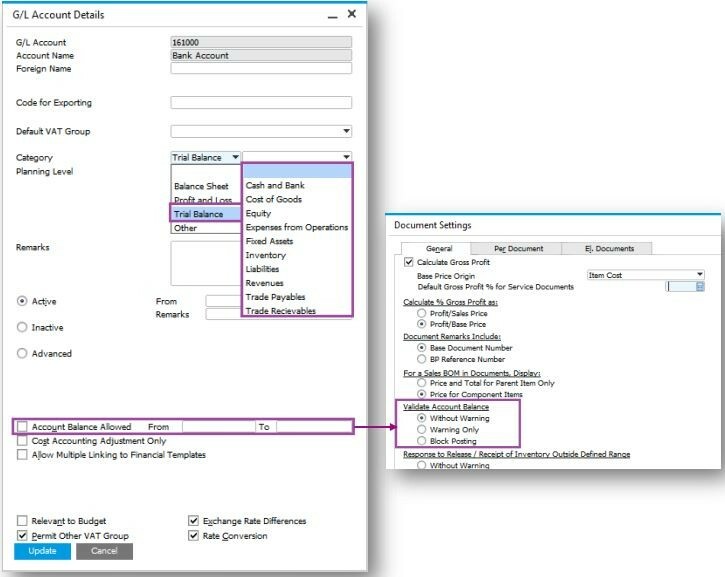 The improvements include the increase of the Chart of Accounts- drawers are set to ten as default, the minimum or maximum balance can be defined for all G/L Accounts, and you can select a primary closing account to be used preferably than the default account. Production Routing- Through a chosen arrangement of Production Stages, the Routing Function supports the progress of Production Processing. The Production Routing Function also allows better management over Production Related Item and Resource Component Management. It provides Production Order structures where multiple Routing Stages have been added. CRM has been given a separate menu option to make the software more intuitive, along with improvements to activities and Business Partner records. 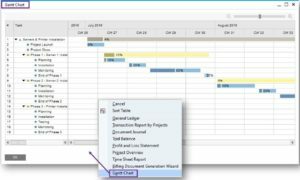 The Project Management area has some significant improvements with the introduction of the Project Gantt Chart, plus a project billing wizard and timesheet report. To find out more about these updates, please click here.